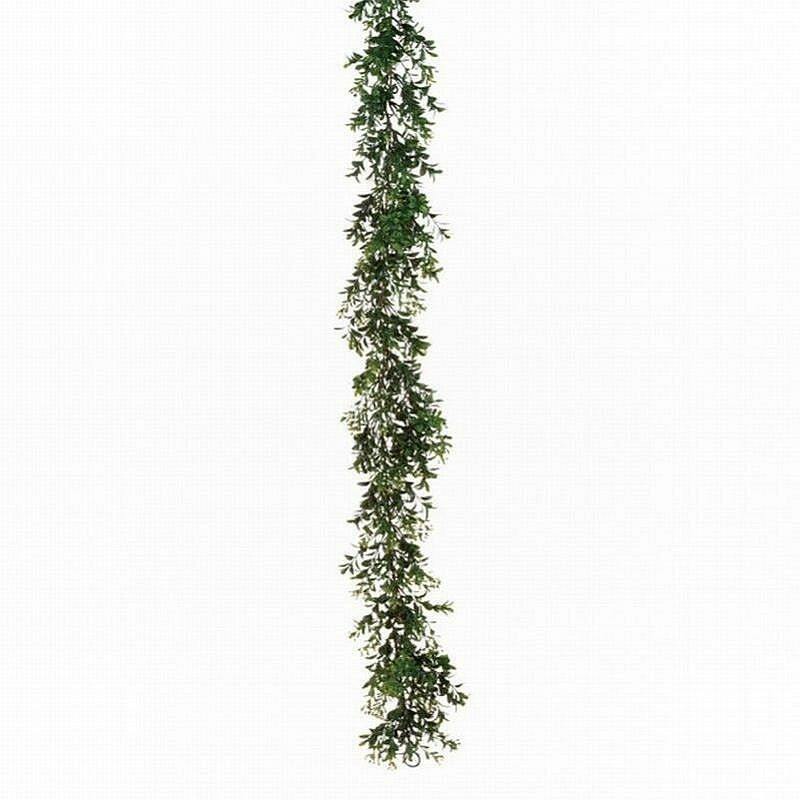 Artificial plastic boxwood garland is 6 feet long and full of very realistic boxwood pieces. Use alone or string several together to attain a very full look. Is durable for outdoor use. This product can get wet and will last for years. Good length, excellent quality, life like appearance, reasonable price. Shipping and delivery: prompt and careful.